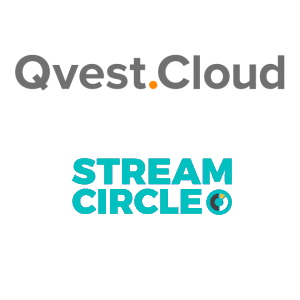 Stream Circle, the European provider of its channel automation platform and Qvest Media, one of the world’s leading system architects and ICT integrators for broadcast and media technology, today announced the agreement to include the cloud-native Stream Circle channel automation on Qvest.Cloud. Stream Circle playout mircroservices will be integrated into the application catalogue of the multicloud management platform Qvest.Cloud, picking up media assets with metadata elements from cloud based MAM, creating a contribution stream according to the schedule, using graphics templates and handing over to other cloud components for transcoding, applying rights and delivery. The integration into Qvest.Cloud will be seamless so that users are working in an integrated environment, using one set of credentials. “It is a real pleasure to integrate StreamCircle into Qvest.Cloud”, says Josef Vasica, StreamCircle CEO. “As the media market is moving from monolithic systems into the cloud, we are ready to assist media companies to move into modern, flexible and cost effective ecosystems.” adds Josef.